Hey, all! Just wanted to let you know I’m still alive and Simming. I took a long break from the game, but I’ve started up again recently and am working on an actual STORY! I still have weird graphics issues, but hopefully they won’t detract too much from the pictures. Iâ€™m also working on a new web site which will be completely Fran-oriented. All of her stories on Mt. Geneva will be copied over to it, and she will be having some new adventures. Stay tuned. This entry was posted in Gnomesby by Jen. Bookmark the permalink. Yay! An update! The preview picture keeps me wondering! Cant wait for Fran! Hey Jen, so good to see you back! I was just starting to sim a few days ago (finally a break from university – my university here in Heidelberg, Gemany and a break from flying too), that’s when I checked back here and didn’t find any new updates, and I was reeeally worried! But now you’re back, sigh ;). So let’s see what you’re up to, I’m too excited! Fran is just great so I’m really glad to see her again! And it’s good to know that you haven’t left the Sims 2 after all. Yay!!!! You’re back!!! I was worried you were gone forever!!! 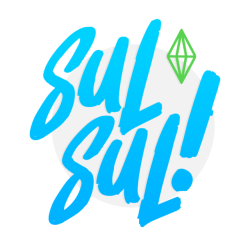 Can’t wait to see some simming from you! And he is also wearing that ugly sweater!! I’m back from my break, too, after I lost all of my game. I’m doing a new Thatcher-type deal with a new family and there’s many posts up already, but it’s completely for my amusement. Anyway, I’m excited to see what you cook up. It is nice to see you up and running again. I now can put you back in rotation on my list of blogs to read. Yay Jen! I’m so excited to see what you’ve got in store for us! And I love Fran, so it’s gonna be awesome! Welcome back! It’s going to be awesome being able to read some more stuff from Fran! Glad to see you back, Jen! I love reading your stuff! Hey, I’m glad you’re back with your sims and your story ! I will be looking forward for new updates !